Our intrepid foursome wake in the early morning of 77-1504, over breakfast they think about how they are going to make a raft to cross the lake to the island. They decide to send Shan out to use his survival skills to find any materials of use, while Nerdus starts work using his gifts with the stuff they already have. Shan takes 2 days of hard work to find all that he thinks they need, well doing so he comes across some tubes in the ground. He thinks they might belong to some very large worms as they are up to a metre across and deep. He also suffers from altitude sickness due to the lack of air at this height; a few hours on the breathing units help him get over this, but only after he like the others who have suffered that he needs to keep having a pee. Once Shan has gathered all the extra wood and such Nerdus continues to build, after 3 days they have a wonder to behold. An amazing raft based around his tool box with its Gravity plate so the whole thing just touches the water. He has used the oxygen bottles to provide a propulsion system and the second tent and wood to provide space for the people and there equipment. Deciding to wait for the next day before launching the boat / raft they rest but with no extra oxygen left spare, they all except Nerdus start to surer more from the lack of air. The next morning  as the sun starts to come up over the rim of the crater they move there wondrous raft into the water and then decide it might be a good idea to test the water before they go any further. Using a medical scanner from the med kit they find that it is warm around 20c with a medium mineral content but drinkable. While waiting for the results they all load there guns with a selection of different ammo, some with semi-ap while others will use flechette and standard rounds. Eventually ready they push off into the water not noticing the movement on the rim above them. Just as they get around half way over using the air propulsion system to move them while Nerdus steers and the others look out. A patch of water hisses and steams near them and a voice is heard. “Heave to and give us back the equipment you cheated us out of” they recognise the voice as that of Stumpman. Nerdus shots out, “radio we are ubdr attack by imperial pirates and name them.” A good bluff but Stum and his crew know that there are no other ships or support around as they have been watching them for some days. The raft under Nerdus control, well just about, carries on moving and a laser bolt singes through the raft missing anything vital. Still with no idea were there enemies are the rafters continue to move slowly towards the shore of the island. The next shot hits Urgen a glancing blow ripping through his body armour and injuring him, however at least now they know roughly were the shots are coming from so start to lay down some suppressive fire. Just before they reach shore and the cover of the reeds and bush’s Shan is hit a severe blow by a laser bolt, again it rips through the body armour but this time hits in the body and causes a serious wound, it could be weeks before he is fully recovered without a medical bay. They hope they will find one on the ship ahead. Once the initial survey is done Nerdus and Dag set up a minefield using the seismic sensors they found in the ship. Then they put Urgen to cleaning the ship and sorting the rubbish, while Dag keeps watch and Nerdus and Shan set to repairing the ship. Over the next 6 days they work on first the power systems which after Nerdus checks Shan’s work he redoes and then by a computer check they think it will work after three days work. With power on they start work on the general electronics so as to get some basic ship systems working. Nerdus lets Shan help him as he feels it will be better that way. After a day and a half they have lighting, life support etc running if a little erratically and they start work on the flight systems once they are working after another day or so Dag can now use the ships systems to watch around them. With no food left Dag and Urgen guided by Shan on the ships sensors went out to hunt the wolf for food. With Shan directing them Dag and Urgen crept up on the wolf and Urgen emptied Shan’s light assault pistol on full auto into it while Dag fired a single shot after they had both aimed carefully. Knocked back and stunned by the multiple wounds it suffered the wolf was finished of with a single shot to its brain. Once they had it back in the ship Shan butchered it and they used the fusion still, which Urgen had found during his cleaning, to process it. [A fusion still is built around a small fusion unit and will run continuously for 5 years. The still has a hopper which can take fluids or organic matter. Collection areas within the still allow potable water to be extracted, or a just-about-edible nutrient product normally known as “glop”. The exact composition of glop varies depending upon what is put into the still, and in some cases vital nutrients will be missing. The still’s readout advises the user as to how good his or her glop will be today, but even the best technology cannot make glop taste any better. Glop can be output as dry, jaw-busting bars or a damp and fairly disgusting porridge. The still can also be set to simply produce pure water, or water with a high mineral content. The still has a power output socket and a cable for recharging items like powered tools, and includes two rechargeable hand lamps which can be connected by cable or taken elsewhere. They will run for 6 hours if unplugged. It also has a built-in light unit and a heater that can be used to warm a shelter or to provide localized heat for cooking. Marooned starfarers with a fusion still will usually find that their food and water needs are taken care of. However, many users cite the stills food output as the single greatest drain on their will to live. Fortunately, the still can also be used to distil alcoholic beverages into spirits for medical or recreational use.] Nerdus finishes off the repairs by working on the drive system, which takes another day and a bit. They all then rest for two days which allows Urgen to heal and Shan to recover a little, he needs a lot more rest or a short time in a med unit to feel fully recovered. After there rest it is 90-1504, Nurdes uses his computer and the ships to make a full diagnostic of the ships systems which takes a day. The result is that they have some power supply faults giving a 5% failure chance and there is a 1-2% chance of any system failing. Deciding that with hardly any food and limited resources this is properly the best they will get they decide to start the seismic survey. Shan who was resting is woken up to emplace the charges while Urgen and Nurdus monitor the sensors and direct him. Shan moves around the crater using a rescue ball to get over the water. [A rescue ball is intended to allow personnel to survive a pressure breach in a space vessel. It consists of a 2mdiameter ball of reflectorized plastic and a small air bottle good for 4 person-hours. Rescue balls are mandatory aboard passenger-carrying starships. They are located at strategic points around the ship and in staterooms. Intended for untrained personnel, they are very easy to use. The character opens a zipped flap, climbs inside and zips the opening shut, and then triggers the air bottle to inflate the ball. A clear section allows vision, and most rescue balls have a “glove” that a character can insert her arm into in order to manipulate outside objects in addition to a towing or securing tether. The ball is reasonably robust, and gives a good radar return due to the metallic coating. A person inside one can move around (assuming there is some gravity) by walking on the inside, treadmill fashion. Balls are normally intended for the use of a single person, though more than one individual can get into one at need]. After doing this for a few hours setting of explosions and monitoring the effect on the rock and subsurface, so that the ships sensors can feed the info into the computer program a tremor shakes the ship and Shan outside, the water ripples and ship shakes the crew off there feet and some circuits come lose and need a quick repair. After what seems like far too long, the ground stops trembling. At first it seems like nothing is different, then two things will be noticed. One is a slight plume of dust or gas escaping from the southwestern side of the mountain. The second is a disturbance in the surface of the lake. As the characters watch, huge bubbles rise to the surface of the lake, which then subsides. The scout ship’s computers will come up with a prediction after a few hours. There are many variables, and nothing is certain but it seems likely that the mountain is indeed becoming active. It would appear that the lava plug deep in the volcano’s innards has been breached and magma is seeking a way to the surface. It is highly likely that there will be an eruption of some kind within a few months. However, the scale is not expected to be very large. Chances are good that there will be very little lava actually reaching the surface, and what does escape will cool long before it reaches the base of the mountain. Gas and ash clouds are more of a problem, but again it is likely that the eruption will take the form of a steady release of pressure, with a plume of ash-laden gas escaping from the top of the mountain to be blown downwind (which means to the west, across the island and out to sea). This will look alarming but should not seriously threaten even the nearest town. It will be alarming but not excessively dangerous. The foursome decide that it might be time to lift off and head to the starport and then finish the survey later from the air. They fight over who is going to pilot and after a while agree that Urgen will pilot while Shan will man the nav seat, Nurdus take engineering and Dag will watch the sensors and man the comms from the sensor room. They prep the ship quickly in a few minutes and prepare to take off. It is 91-1504 mid day, as Urgen takes off badly causing the ship to rock as he tries to balance the grav plates and the drive Dag notices that the sensors are pinging a warning. The sensor suite wants to inform the crew that it has revised the eruption prediction based on new data. To the computer, this is a dispassionate exercise and of no real urgency. To anyone looking at the data from the point of view of, say, being sat on top of the volcano, the new data is a little more urgent. The computer displays tables of temperatures and gas mixes and such, plus a helpful 3D model of the mountain which shows a huge lava plume smashing through the plug and filling the tubes. If asked for a prediction, the machine shows the top blowing right off the mountain in about six minutes’ time. The characters just have time to realise that they cannot possibly get clear when the machine pings again to indicate revised data. Now it shows a much reduced lava plume simply pouring out into the crater and down the sides of the mountain, accompanied by a cloud of hot gas and ash. The first wisps of smoke can be seen coiling up from the lava tubes and the lakebed fissure. What water remains is beginning to boil. An eruption is obviously imminent, and the ground begins to shake to confirm this. Dag finds the comms channel for the spaceport and the local town and sends a warning message, while doing this the computer shoots an incoming missiles warning but with his hands full with communications Dag can not do anything so Urgen tries to dodge them. He manages to avoid all but one which turns out to be a medium sized rock which hits and causes some of the lose wiring connections to spark into a fire which Shan puts out. Nurdus shouting down the comms from engineering wants to know what’s going on and starts a system diagnostics check to check for further damage. As the scout ship lifts clear of the hellzone that is becoming the crater, bushes begin to catch fire and the air is filled with dust and ash. As it is obvious that dag can not really work the sensors Shan takes over in the sensor room and Dag moves to the second seat to look after comms from there. The radio is active, with two transmissions on similar bands. The first transmission is coming in from the capital at Central Lake by way of the starport orbital beacon. Minister Greener wants to know what is happening. He has some garbled reports of smoke from the mountain and a tremor. He would like to know how serious the situation is and what the long-term implications are. Greener has little information and does not know how bad things are. However, as he receives reports of ash clouds in the sky, he begins to realise that things are serious indeed. At this point he becomes increasingly desperate for information. At this point, the travellers have little to give him other than their own first-hand account of the eruption which Dag does. At more or less the same time, the town mayor’s office at Salbarii tries to contact the travellers. The tremors have been felt in the town; about 20km to the north of the mountain, and dark clouds can be seen issuing from the mountain. The mayor and his tiny staff have issued a general alert and, like Greener, need information. • There is a small amount of lava in the crater itself, and some leaking from outlets on the higher slopes. This is not a significant hazard beyond the immediate area. • There is a major eruption much lower down, where part of the mountainside has collapsed. A veritable river of lava is pouring out. This is on the southwestern side of the volcano. • The land slopes generally down to the sea from the erupting side of the volcano, offering the lava flow a direct path to the sea. • The town of Salbarii, 20km north, is not in any real danger at present or in the foreseeable future. • There are some small settlements, mainly just farms and a couple of hamlets, in the path of the lava flow. Within hours at most these will be swamped. The only settlement of any size in the danger zone, Barvinn, has a population of about 60 people and is on the coast. It is not know for certain if it is endangered but this seems likely. While doing this Dag also informs the authorities of the attack by the imperial pirates just to cover themselves and make the Imperium look bad. The heroes agree and start to overfly the volcano while Shan uses his sensor skill to map the area and the lava flow while working out how fast it is moving and monitoring the mountain at the same time. The outcome is that Barvinn will be consumed by lava in about one to two hours and the road will be cut before it can be used. The Rail link however should be ok for now but once Barvinn has gone it will follow. There is still some doubt as to whether Salbarii is in imminent danger or will need to be evacuated in the longer term. It may be that the town is perfectly safe. Which of these is true will have important implications for the handling of this disaster so again the dictator needs information to make a decision. Ideally, the ship should return to the mountain and emplace some sensors in short holes drilled in the rock. This will allow an estimate of both temperature and stresses in the mountainside, which will allow an estimate of how long the eruption will go on for and if any more unpleasant surprises can be expected. Landing on the mountainside is tricky, but not especially dangerous so long as the ship stays away from the immediate vicinity of lava flows. The air is hard to breathe so Dag dons a vac suite it is also, not surprisingly, hot. Emplacing the sensors takes half an hour or so, with a couple of hops from one point to another aboard the scout ship. Its air/raft would have been most useful for this job, but the ship itself can manage with a decent pilot which luckily Urgen is. Fairly soon, the data begins to come in and there is good news. The lava flow is slowing and the temperature of nearby rock is dropping ever so slightly. It would seem likely that the eruption will be quite limited after all. After a few more minutes the computer model will present the following data. The lava flow rate has dropped because a plug has built up in the mountain somewhere. Now, sometimes this is a good thing as it can block the route to the surface and thus cause the eruption to end. However, in cases like this where there is a lot of pressure underneath; a plug of this sort tends to be short-lived. When it breaks, it will be like a dam bursting; the lava flow will massively increase and a chink of the mountain may be quite literally blasted off. According to the sensors and the computer model and Shan’s own knowledge, Mount Salbarii is under rapidly increasing stress. Within just a few minutes the plug is going to fail and a massive eruption will take place. Worse, a huge cloud of super-hot ash and gas will be ejected from the mountain and will hurtle out across the coastal plain. The town of Barvinn will be destroyed and anyone in it will die. The only good news is that the town of Salbarii will probably not be too badly affected, though a lot of ash is going to fall on it. In the long term the town may end up being abandoned but this would mean moving a significant chunk of the planetary population to new homes, representing a rather large project for the world government. It will not be even considered unless it seems inevitable. Within moments of reporting this new situation to the dictator, orders begin to come in from the temporary command post at Salbarii. The gist of it comes down to an order to cut and run right now. There is a train – really just a locomotive and a couple of cargo cars – running into Barvinn. It will take everyone who is at the station aboard and make for Salbarii at best speed. There is nothing to do but hope it gets clear in time. However, there are people still trying to get to the station, who will not be there by the time the train leaves. The submarine Ocean’s Bounty is in port at Barvinn, and will take aboard anyone who can be crammed in before heading out to sea and submerging. It should be safe, though nobody really knows how bad things are about to get. However, there are two groups that cannot reach safety in time. One is from an agricultural settlement, a faming hamlet well to the south. Ironically they might have been safe if they had stayed put or headed south, but then maybe not. 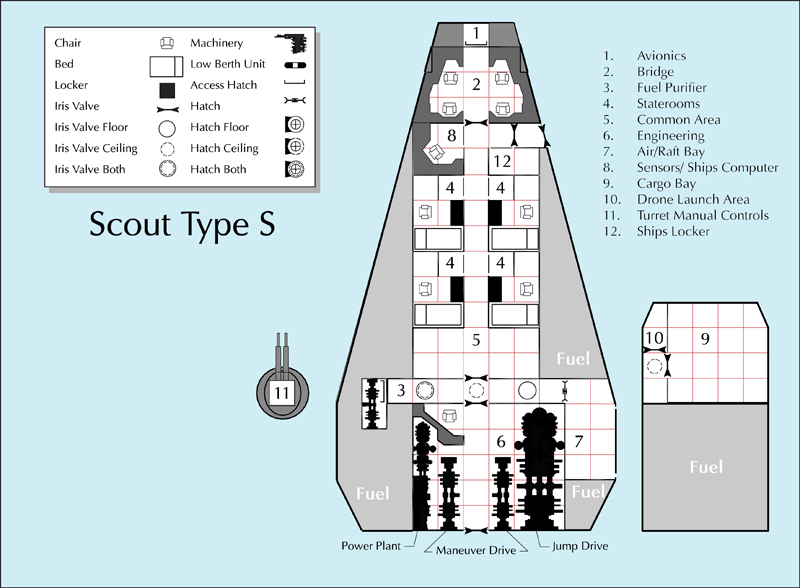 In any case, they are now well within the threat zone and cannot be reached by anyone but the scout ship. The dictator asks the travellers to attempt a rescue of this group. Asks, not orders. He acknowledges that the travellers have taken risks already and have saved many lives. If they take their ship straight up they should be able to get above the threat zone and be safe enough. But there are eleven people, humans and Vargr, some of them just children, jammed into a couple of ground vehicles struggling up a dirt road towards a promise of safety that the dictator himself has just withdrawn. And so, the travellers are requested to help. They could fly to the refugees, pick them up and then take their ship out to sea and submerge it. The scout would not make a great submarine – keeping water out is different to keeping air in – but it could happily function a few meters down, which would surely be enough to protect it from the eruption. But what of the other group the dictator mentioned? He regretfully says they are beyond help. In such a small population, he is acquainted with many of the planet’s residents and this pair are particularly stubborn. Indeed, their daughter, who is on the dictatorial staff, is just as bad. Point is, the dictator knows these people. He can tell the travellers who they are and what they do. He can offer a pretty accurate prediction of their reaction to news of the eruption and their stubborn refusal to be worried or to run for it until it was too late. What he can’t do is save them. The dictator has to make a decision – eleven people or two, and the two probably can’t be saved anyway, not even with the scout ship. So he asks the travellers to abandon them and pick up the larger group who are nearer the coast. The two have just lost the numbers game, it’s really that simple. But someone else has different ideas. • If the travellers try to rescue the other group, they will be caught in the eruption for sure. right through the ash plume pouring from the mountain. It is probably flying more or less blind – grav cars do not have particularly great sensors as they rarely need to navigate under such conditions. The limo is broadcasting. A breathless, growly voice – obviously a Vargr – is broadcasting on the emergency channel. “Scout ship, get the big group. I’m going after mum and dad. I can get there before you can. Good luck.” The dictator confirms that his chauffeur was out picking up some refugees and has taken it into her head to try a rescue. Her chances are not good, to be realistic, but it’s the sort of idiotic, stubborn, half-crazy stunt you’d expect… anyway, he says, it solves the dilemma. If the travellers can pick up the refugees at Barvinn, there is a half-decent chance of saving everyone. The group have no hesitation in going to save the eleven and Urgen heads the ship down towards the hamlet. They arrive to a pitiful scene. The settlement is very small, just a few dwelling complexes and a rail platform where trains down the single line terminate. There is also a concrete dock with a semi-underground warehouse and a small crane for unloading boats and submersibles. The area between the dock and the station is flat and concreted over to make transfer of cargoes (mainly fish) from dock to railroad car as easy as possible. There are two civilian ground vehicles, typical 4×4 pickups as used on the local farms, parked on the concreted area. Several people are rushing around in a state of shock and panic. Some are pointing at a train which is disappearing northwards, some at a fishing submarine which is just visible out in the bay. Others are trying to break into a dwelling complex while still others are calling the rest back to the cars. These people are clearly desperate and have no idea what to do for the best. When the scout ship appears, people begin to run towards it, waving, which interferes with Urgen trying to land. The two cars on the concreted area are an additional obstacle, but Urgen avoids all of the obstacles helped by Nurdus firing from the Air-raft bay to drive the crowd back a little. The heroes intend to use the bays large door to load the refuces and then move them through the ship and into the hold, were they have set up some rope ties for them to hang on to. Rounding up the refugees proves tricky. Some want to grab things from the vehicles, others are sure that one of their children, relatives or dependents are missing. Eventually Dag takes control using and organises a tidy embarkation of all the people. As the travellers are struggling to round up the refugees, bundling them aboard, the mountain finally goes. A vast cloud of superheated gas, ash and rock fragments is blasted clear, rolling out from Mount Salbarii at high speed. Chunks of rock and even quite large boulders are flung into the air. It is really quite spectacular. Presumably there is a massive lava flow behind and beneath the cloud but it cannot be seen at this point. The gas and rock-fragment cloud (correctly termed a pyroclastic flow) is moving at about 75kph and is about four to five minutes away. It is quite high, making a climb over the top a difficult proposition in the limited time the scout ship has before its arrival. As the scout ship is lifting off from Barvinn, the travellers pick up a distress call from the dictator’s limo. The Vargr’s voice is even more breathless and there is a roaring sound that suggests that the windshield or another window has been shattered. There is also a hideous whining sound in the background which sounds like tortured lift units – anyone who has worked with gravitic units can tell the limo is in serious trouble even without the distress call. The content of the call is plaintive and desperate: “Mayday… mayday, this is Walston One. The car is damaged, drives are failing… windows are cracked and I can’t see properly… I think I’m heading for the sea but we’re losing speed and altitude. I don’t think we’re going to make it. Is there anyone? Please?” the voice gets weaker and then cuts off entirely. Radar shows the limo limping towards the coast, losing height fast. It is perhaps a minute or two ahead of the pyroclastic cloud emerging from the mountain and actually outpacing it for now, but within moments it is going to be grounded. The limo’s projected crash site is less than two minutes’ flight time away, but the cloud is going to be only a minute or two behind that. The group look at each other and say together leave them risking 15 lives for 3 is silly. So Urgen guns the drive and heads out to sea and then back towards the space port were he lands. As they fly north Dag feels regret for his pet Ronney left behind in Barvinn and as he express his sorry Urgen says what about my rifle!! After landing and disembarking the survivors the crew of heroes are treated as such, there is an atmosphere of celebration among the people of Walston. They have survived a disaster in better shape than might have been expected and have a few new heroes to adulate. The characters will find themselves invited to a number of parties all over Settlement Island and a reception at the dictator’s palace. 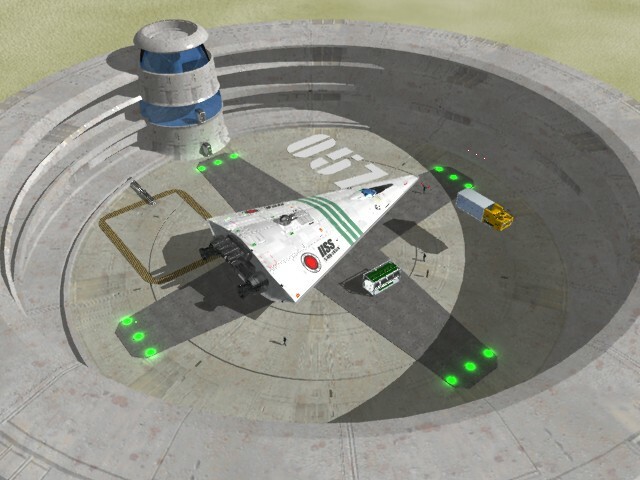 In the meantime the resources of Walston’s tiny starport will be brought to bear on making the scout ship flyable. Things quickly wind down however, and the party atmosphere fades to be replaced with the more usual comfortable ordinariness of life on Walston. With such a small population and limited resources, everything Walston has is going to be absorbed by dealing with the new problems faced by the town of Salbarii. The locals will make sure that the scout ship is well stocked with home-baked goods and the characters will probably acquire any number of home-knitted sweaters, the group give 1kcr of the 3kcr they received for the job to a survivors fund. Urgen and Dag use the parties to slag off the Imperium and praise the Sword Worlds and Urgen collects his rifle and some ammo. Dag checks to see if the imperials have left or are still around and finds that they left about 3 days ago. Is this an enemy they will face again? Shan starts to fill out his geological diary with data from this planetary encounter. After a week of parties and awards and getting the ship space worthy they are ready to go, it is 98-1504 and it has been a very exciting 70 odd days since they joined together to journey in the stars. Now its time to go and take the ship back to Lt. Colonel Meyr at Enos system, via Bowman. As they prep the scout and prepare to take off the space port is hit by a earthquake which causes the ship to be shaken as it takes off. Urgen puts the scout into a orbit so Nurdus can check all systems to make sure that they are ok for jump. While he is doing that Shan scans the planet to get more information on parts they haven’t seen. While doing so the ships scanners have detected a surface feature of some interest on Walston-Main in a deep canyon running roughly east-northeast across the continent. The feature appeared in a break in the mist covering the area, using deep scans Shan finds a triple pyramid complex which appears to be of stone with a high metal content. There is a high probability that it has voids within, it seems to be very old and not of human origin, possible an ancient relic or something similar. Deciding that this is worth exploring the group after all the checks on the ship are finished head down to land near by. As they get within a few seconds of landing near by an energy blast passes within meters of the ship almost disabling it. Instrumentation show that the beam came from the structure and readouts indicate a 80% chance that if the ship tries to launch it will be hit by the powerful beam and shot down. So it looks like they will have to disable the beam before they leave, “o well we wanted to look it over anyway” they say to each other. Donning the old vac-suites on the ship, they prepare there weapons and take some extra air, rope etc and head out of the airlock. The air is not only thin but not very healthy either, so remaining in the suites is important and they only have 6 hours air in the tanks. Moving towards the triple pyramid structure they can see steps to the left of the central large pyramid leading to a flat area with statues which leads to more steps ascending the right most small pyramid. Sahan uses his motion sensor and his recon skill to check the area out as they bounce forwards, he finds no motion but does record a energy source inside the structure. As they approach the stairs Shan checks them for traps and such just in case but they appear to be clear. He then checks the statues for traps, but finds none, they then move up the second set of stairs and Shan recons the top for traps. Dag and Urgen find that the statue on the top folds down to expose a entrance, Shan uses his bionic arm to move it and they see exposed a shaft leading downwards with a dim glow to it. They lower a rope and Shan climbs down, he sees a doughnut shaped room surrounding the shaft with a walkway round it and three passages leading off to north west and east. The others follow Shan down and they head off north. After a few meters they see two rooms, to right and left the left one’s door is open and they enter to have a look. This is a small spherical chamber with a high level floor which like the tube like corridor has a floating metal floor. Climbing the rungs they enter and see that the area is filled with boxes. Checking them out they can see that they are empty and made from a pressed board. Urgen decides to look under the floor and gets the other 3 to stand on one edge to cause it to swing up a bit. Under the floor he sees’s that’s it’s filled with a pool of vapour. Leaving this strange but ascetically pleasing room they cross the corridor and try the shut door, which doesn’t move so Shan uses his strong cyber arm to pull it open. And the others look in as it has a floor on the same level as the corridor. This spherical room is covered in soil which has a profusion of plants in it, while looking at it they see a plant move as though knocked. So they let the door go and it shuts behind them. Moving on just ahead the corridor is misaligned and they can see that it has a upper and lower service tube, climbing up they move on along the tube. Coming to two more doors to right and left both shut and the left one higher up again. Opening the right door again Shan see’s more plants and so the move to look into the high room to the left. With Shan holding it open, the peer in from the rungs and see some boxes and 4 creatures. They look like a snake about 80cm long and a few kg in weight, they also appear to have a thick scaly skin much like a reptile. Dag tries to communicate but all the critters do is look. So our heroic group move on letting the door shut behind them. Moving on again they come to another pair of doors and the left high one is open and has no boxes but 12 of the snake like critters. Dag ties in to Shan’s computer in the space ship and tries to use his translation software to communicate. As this does not produce any result the ignore the other room and move on. They come to another doughnut shaped room, again with a central shaft going down and with three more tubes running off north east and west. This large chamber has a thick knobbly cable hanging from the curved ceiling and hanging down into the depths. It moves slightly just like a pendulum would. Around it fly around seven bat like critters, dag tries to communicate again but as he does so they dive onto the group and attack. The four all dodge the attacks and draw there weapons. Nurdus is hit and his vac-suit damaged but he manages to patch it. Shan and dag are also hit but there vac-suits hold. In reply Shan and Urgen drop a flying creature each. The remaining ones fly into a service pipe. The group quickly recovering move round the right of the doughnut chamber and head in to the north tube. This leads to another large chamber this one with a floating floor and no other way out. Due to the vac-suit’s visors which work in various spectrums they can see a mural which has been drawn so it can only be seen in infrared. This shows the pyramid structure with a large flock of the bat like creatures flying round it. Flashes of energy fire from the faces of the large pyramid and blast the bat creatures out of the sky. It seems that the energy beam is a anti-flyer defence. They wonder why it missed them if it can hit small flying creatures. After a short discussion they decide to move back to the doughnut and move around the other side [west] and enter the room there. It also has an inferred mural this time depicting the pyramid complex with a range of mountains in the background. Around the complex are a throng of reptilian creatures about human size, crowding around. They appear intelligent and civilised perhaps coming together for a festival. Dag tries to recognise the reptiles, but he doesn’t think he has either heard of or seen such a bipedal race before. However he does think they show culture and social leanings and some of them appear to be eating the snake like creatures, so they might be a food source. Moving back round the doughnut they enter the east chamber to see if it also has a mural. It has and shows some reptilian creatures throwing the snake like creatures into the trough shaft on the outside of the complex. The group discuss whether they are some sort of sacrifice or not. Moving back to the central doughnut chamber they talk about what to do next, climb down the cable in the centre shaft or use the small service tubes to see were they go. While involved in these discussions there suits beep a warning that 1/3 of there air has gone. Eventually Urgen decides that spinning his sword and calling on his deity, spinning his sword on the floor it sets them on the course of the service tubes at the broken corridor. Retracing there steps they head back to the broken tubes, and Shan shimmies into the bottom service tube with Urgen, Nurdes and Dag following. It’s a tight fit and they have to use there arms and legs to pull and push there way along it, while lying on the tummies. Heading back the way they have just been they past side shafts going into the rooms they have already passed and then it branches left and right in a curve and they assume they have reached the doughnut again. Crawling left they pass the left hand chamber and then notice another branch left before they reach the one going north. This one seems to slope down and following Shan they head down it. Eventually they reach the bottom and come to a fork with an access panel straight in front. Shan opens the panel and looks in, he can see large pieces of machinery which seems to occupy most of this spherical chamber near by he can see a gray 4 foot high figure which looks like the reptiles in the pictures sttod with one of its arms in the wall. All of them popped out of the tube and standing look around the room while drawing weapons just in case. Shan looks over the statue and decides its some sort of robot as it seems to be made of some sort of metal. He then tries to see if he can activate it but fails to see any obvious way of doing so. Nerdus steps in and finds a slot to plug his computer into with a little jury rigging. He then uses his computer skills to gain access to the thing. Unfortunately he creates a power surge which blows his laptop up as he gets the robot going. They then spend the next hour trying to communicate using Shans translator by linking to the ship and Dags natural ability with language. Dag eventually gets to the place were he can ask it were do you turn off the weapon system? The robot moves its arm from the wall, which turns out to be a power point, and moves to the machinery. Sticking its three digit hands into a couple of holes it moves its arms and then withdraws them. It makes a noise and they hope it has done what they asked. Dag checks and thinks that it just shut the power down. Heading back up a slopping walking tube which was near the shaft they came down the head back up to get back to the ship. They notice the robot following them, which it does as they move up the shaft and back into the area of the doughnut coming out of a hidden doorway. They then head back towards the first doughnut chamber were they used a rope to enter still with the robot following. Wondering how to reach the rope swinging in the centre of the doughnut shaft, they notice the robot heading down the corridor to the west were it touches the wall which opens a door back out to the outside in the bottom stairs. The group head out wondering if the robot will continue to follow, it does all the way to the ship. It then follows them into the airlock and aboard the ship. Shan and Dag plug the robot up to the computers and start work on trying to understand it while Urgen with Nerdus help lifts off and powers into space and then jumps to the Bowman system and then to Enos. These two week s have allowed them to work out these details about the robot who Dag has taken a fancy to as he loves gadgets and it feels like a replacement for his pet which he lost. The robot has average strength and dexterity as well as above average intelligence and education. It appears to be armoured as it has a tough body and its brain is very advanced. It seems to be programmed to act As a farming expert as well as being a vet and a power plant engineer. However its data banks appear to be empty so they gain no knowledge of its makers, over than the fact that if they were the same reptilian race as built the complex it must be thousands of years old and its warranty is out of date. It recharges by sticking its three fingered hand into a power point, three hours charge will keep it running at full power for the rest of the day. As Dag wants to keep it they use there various skills to create a bill of sale to prove that they bought it from Ka-TH-Y a Varger on Wlason who died in the volcano [this is the name of the dictator’s chauffer]. Having reached Enos [114-1504] after 3 months of travel they meet up with Lt Col Meyer again and hand the ship over to him, they report all of there above adventures except about the complex but making sure he knows how dangerous the mission was and that the Imperium was shown up. The Colonel is pleased and offers them 5 ship shares and 50kcr for the job they have done as well as a fast courier trip back to Biter with there stuff. Accepting this they board the courier and head back to met up with Lady Susan again robot and kit with them. A job well done and Urgen happy as he now has some money and all happy as they can see the pool of ship shares mounting up, to help them buy there own ship eventually.